While the censor board, led by Pahlaj Nihalani, has been relentlessly targetting films, elements are physically attacking directors and even film-makers are belittling sexuality. Pahlaj Nihalani never lets his followers down. After making his scissors speak for Udta Punjab, Lipstick Under My Burkha and many other films, the Censor Board of Film Certification (CBFC) under his chairmanship has now denied certification to Malayalam film Ka Bodyscapes for "glorifying the subject of gay and homosexual relationship". The film's director, Jayan Cherian, said, in a Facebook post, that Nihalani had put the final nail in the film's coffin. To put it more aptly: The nail is being put in the coffin of the art called Indian films. It is quite frequent nowadays that we see the censor board stealing headlines for acting as the moral police and delivering negative verdicts on films. 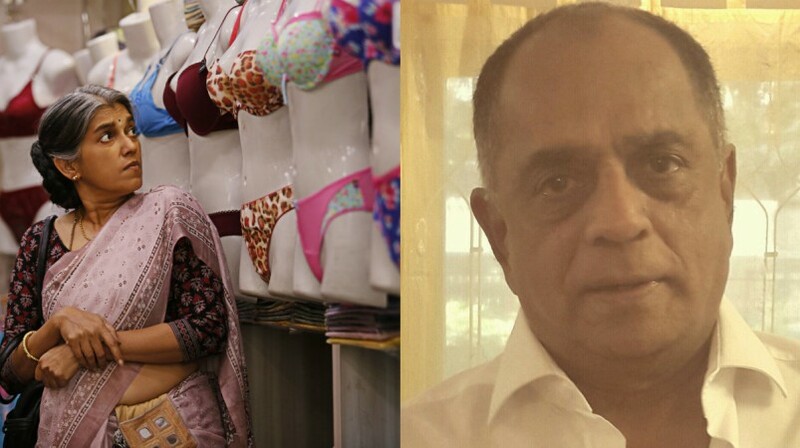 Nihalani is often copping flak for turning the CBFC into a comedy of errors, but he is certainly not the root cause of the negative energy blowing across the creative industry of filmmaking. It is, in a nutshell, a complete cultural degeneration in the name of moral protectionism. Protests against creative work – whether it is films or books – is not something new in India. In the 1990s, we saw how Deepa Mehta's Fire was met with fire by Shiv Sena cadre for showing things "alien" to Indian culture. But, the protests came only after the film was given the nod by the censor board. A few years later, another film by the same director called Water also faced serious protests and obstacles for taking up "objectionable" content. But a big difference between then and now is that back then creative work always saw the light of day. Today, the very release of films is being blocked, if those in power feel that it is "against the notion of Indian culture". God knows what precisely is that definition of culture, but banning and blocking creative works certainly don't reflect the true spirit of a democratic nation. In fact, it signals a culture that is regressive and doesn't allow any freedom of expression and critical thinking. Apart from Nihalani's own performance in blocking and censoring films, there have been several instances where the act of film-making has been disrupted because the idea did not conform to the idea of the greatness of everything that is Hindu, for instance. Recently, Sanjay Leela Bhansali was even assaulted on the sets of his period movie centred on a medieval Rajput queen. We have also seen how film-makers have been treated for casting artistes from Pakistan in their films. If Bollywood is a growing market, then it is normal that the best talent from other parts of the world will become a part of it. But by denying access to this talent, we have let our own skill of film-making become poorer. Besides, we have also seen how petty politics blocked Vishwaroopam, a film by Kamal Haasan, in Tamil Nadu. The moral censorship, both by the government censor body, as well as elements on the ground, have ensured that one of India's best-known soft powers – film-making – is gradually inching towards disaster. As a country made of young people, something which the rulers of the day often boast about while announcing India's potential to become a big power, India's filmmaking is certainly going to experiment with new avenues of human life that were once deemed untouchable. But the double standards of the Hindutva brigade and pseudo-nationalists are taking things in the opposite direction. Their brute majority is proving to be too costly for the country and its pluralistic soul. Who can finally show a way through this mess? Of course, film-makers themselves need to unite and come forward. But when one sees a tweet by Ram Gopal Varma mocking a barechested Tiger Shroff saying: "Only gays pose like this and not MEN", one is left wondering what really is in store for the country's creative faculty.